Lohri is a North Indian festival, typically celebrated on the eve of Makar Sankranti or 14th January when the sun transits to the North. It signals the onset of spring and is celebrated with fervor and abandon by everyone across the region. The religious minded perform ceremonies in their house as well as at temples. A bonfire is lit at dusk and children receive gifts from parents. One of the most popular dances, the “Chajja” is performed at various places throughout the region with groups congregating and moving in a procession with a carnival air. 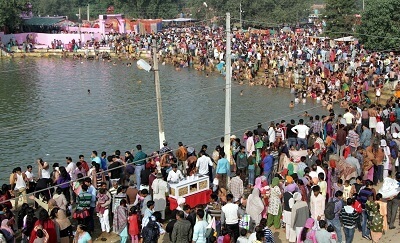 Despite being one of the biggest Hindu melas, it is attended by everyone. 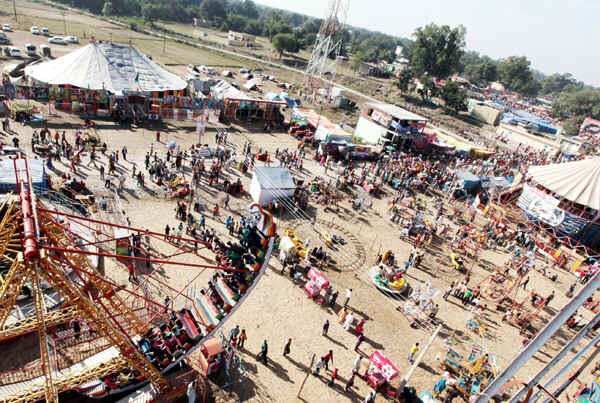 The Mela or fair is unique in that it does not have a fixed date and is held twice a year; once in March or April and once in September or October. The Bahu Fort and the Kali Temple inside is the venue of the fair. The fort and temple are decked out with lights and crowds throng the area. Hindus, in this region are devout followers of Kali Mata and on this occasion they visit the temple and ask for boons. Children enjoy the fair as much as adults do and food vendors, toy vendors and handicraft makers set up stalls, creating a festive atmosphere. Baisakhi is the North Indian term for the month of Vaisakh. Occurring around the middle of April, it signals harvest time and is predominantly a harvest festival. Hindus celebrate the first day of the first month of the Hindu calendar by praying at temples and participating in traditional ceremonies such as bathing in rivers or ponds. More than Hindus, it is Sikhs who celebrate Baisakhi since it is said that Guru Gobind Singhji formed the Khalsa sect on this day in 1699 and thus the day has twin significance. 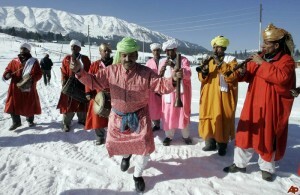 Fairs are organized at various places across Kashmir and you will find people participating in the popular Sikh Bhangra dance with great intensity and joy. 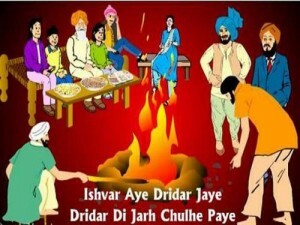 The Jhiri Mela or fair is held around October-November to commemorate the memory of Baba Jitu, a farmer who committed suicide in protest against the oppression of his landlord. Since he lived in Jhiri, the festival is termed as Jhiri Mela and is held here by his followers. Baba Jitu has quite a following in North India and people congregate here to celebrate his valor and forthright stand. This is a Kashmiri Pandit festival usually held in March or April, the first day of Chaitra month, for them the New Year or Navreh. Pandit families pray and offer unhusked rice, yogurt, sugar, nuts, salt, silver coin, flowers and mirror as votives to their deities. For Hindus Shivratri is also an occasion of importance with Shiv temples being the venue of fairs held in the last week of February or first week of March. The festival can go on for a fortnight. Whereas Hindus elsewhere celebrate it to commemorate Lord Shiva, here it is Bhairava who is in the forefront. Whereas Hindus elsewhere may fast or eat only roots and nuts, the Pandits celebrate the day with a feast. One of the largest Shivratri fairs is held at Purmandal, some distance from Jammu. Hindu festivals would be incomplete without mentioning Diwali and Navratri. Diwali is celebrated by Hindus in Kashmir but not with as much fervor as in other parts of India. While Navratra is a gala occasion for Bengalis and Gujaratis, it is much toned down in Kashmir, celebrated quietly from the 5th to the 8th day or only on the 8th day. Whereas most fairs and festivals have religious overtones, The Mansar Food and Craft Fair, organized by the J&K Tourism department, is a celebration of all of the finest in food and craft of Kashmir. The fair is organized inn April and lasts for three days. You can get to sample the best cuisines of Kashmir such as shab Deg, Gushtaba, Roghan Josh, Pasande Kabab, Dum Aloo, Kashmiri Pulao and sweets, prepared by local chefs and buy the finest handicrafts prepared by Kashmiris and from artists from all over India at this fair. Kashmiri handicrafts such as crewel fabrics, carpets, pashmina shawls, papier mache products and walnut wood items are the highlights. Craftsmen and artists from all over Kashmir and also from India congregate here and it is an opportunity to get a glimpse into Kashmir at one place as also buy some mementos. This is a wonderful flower festival organized from the 5th to 15th of April in Srinagar at the Indira Gandhi Memorial Tulip Garden. 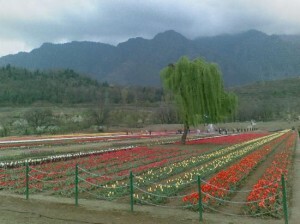 The festival showcases tulips of Srinagar. 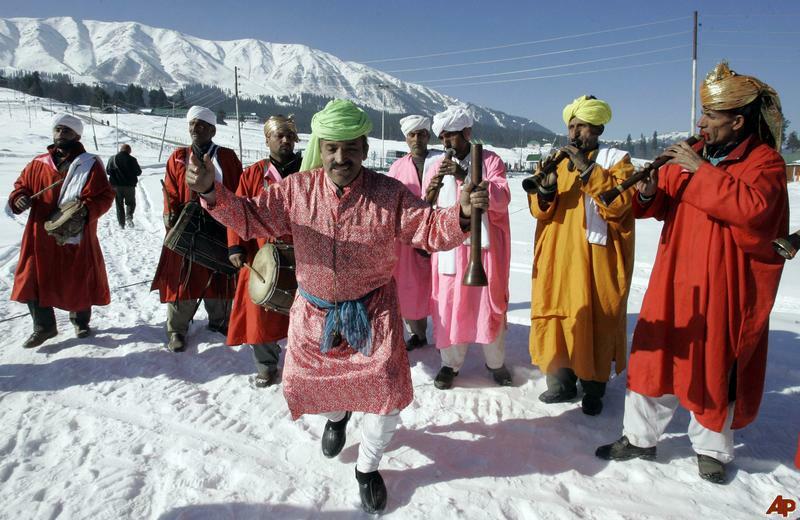 Apart from flowers, the festival also lets you sample the culture of Kashmir by way of folk dances and songs, cultural programs, cuisine and handicrafts at the venue. You may give other festivals a miss but time your arrival for the Tulip or the Mansar festival and get wonderful perspectives on Kashmir. Ramadan festival celebrated in the ninth month of the Muslim calendar. it is believed that in the Month of Ramadan Holy Quran “was sent down from heaven, a guidance unto men, a declaration of direction, and a means of Salvation”. During this months Muslims take fast, it is called the Fast of Ramadan and lasts the entire month.It is a time of worship and contemplation. The Eid-ul-Fitr and Eid-ul- Azha are the most popular Muslim festivals in the state of Jammu and Kashmir. If People want to feel and celebrate Eid must visit Kashmir. Eid-ul-Fitr marks the end of fasting month of Ramadan. These festival are very auspicious for all Muslims, they wear new clothes and attend many grand feasts. Eid-ul-Azha is equally important festival, which is more prominent for the Qurbani (sacrifice). People sacrifice goats, sheep and some even Camels. Every year Kashmir govt organized snow festival or winter games at Gulmarg between January & February like the state sking championship, Kashmir snow festival. The holy shrine Amarnath Yatra is started each year between June-August Thousands of devotee visit every year to this cave shrine where natural shiv lingam appear in the form of ice. The festival is held in July every year and showcases the traditional folk dances and songs by the Gurez locals besides white water rafting is also held in the Kishenganga river and a camp site in the scenic Dawar valley of Gurez. This holy Festival is celebrated all over the Kashmir in the month of October or November, a special fair also held at the Kheer Bhawani temple. The Saffron Festival is celebrated in October during this time every saffron is in full bloom. 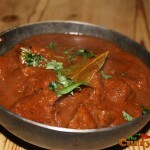 Kashmiri saffrom is very famous in world. 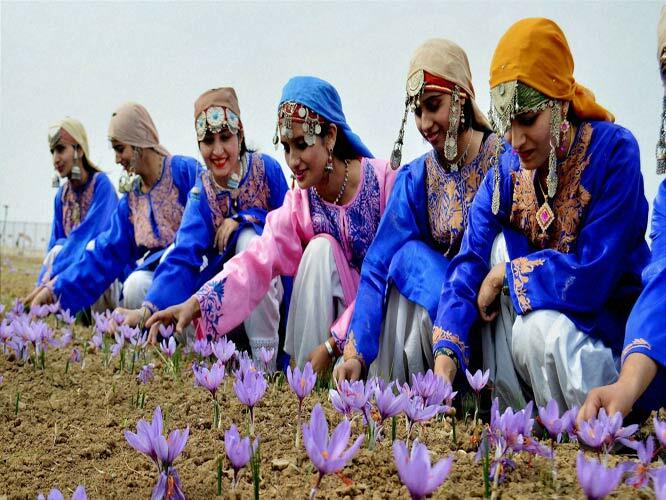 This festival offers an opportunity to see the intricate harvesting of saffron in the colourful fields giving the enchanting view during the moonlit nights. The festival urs organized throughout the year at various shrines mostly in honour of the birth annivarsaries of saints and seers. The prominet ones include: Urs Milad Hazratbal, Urs Peer Dastigeer, Urs Makhdoom sahib, Urs Naqashband sahib, Urs Nooruddin Noorani Chrari sharif, Urs Ashmuquam, Urs Shah-i-Hamdan Khanqah Moulla etc.